Take everyday activities outside, and they stop feeling everyday. There's a freedom to being outside. You can laugh louder. Go barefoot. Doze off in the sunlight. In a word, relax. The maintenance problems that come with wood decks don't come with Trex. So your time is spent relaxing on your deck, not working on it. Trex®, the nation's largest manufacturer of wood-alternative decking, railing and fencing and trim products, is building even stronger brand awareness and product demand within the trade channel - as evidenced by the receipt of several recent recognitions from respected publications aimed at builders, contractors and other industry professionals. You can never have too much peace of mind. Trex doesn't weaken over time the way wood does. Maintains its high quality and value for years to come. 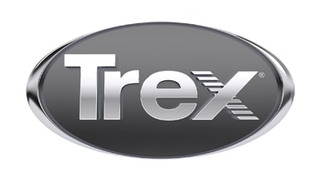 Trex offers a 25-year limited residential warranty on all its products.